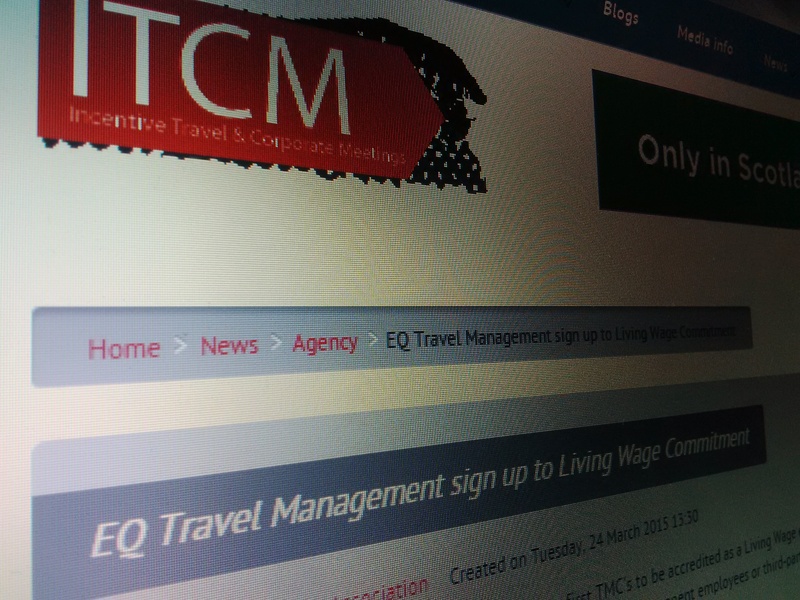 EQ Travel Management has become one of the first TMC's to be accredited as a Living Wage employer. The Living Wage commitment will see everyone working at EQ Travel Management, regardless of whether they are permanent employees or third-party contractors and suppliers; receive a minimum hourly wage of £7.85 - significantly higher than the national minimum wage of £6.50. Franc Jeffrey, CEO of EQ Travel Management commented “as one the UK’s premier independent travel management companies we believe it’s important to set the standard for our sector, whether that be on standard of service or payment of our employees. The Living Wage is a great way for us to show commitment to all our staff”. Living Wage Foundation Director, Rhys Moore said: “We are delighted to welcome EQ Travel Management to the Living Wage movement as an accredited employer”. “The best employers are voluntarily signing up to pay the Living Wage now. The Living Wage is a robust calculation that reflects the real cost of living, rewarding a hard day’s work with a fair day’s pay. “We have accredited over 1,200 leading employers, including EQ Travel Management, ranging from independent printers, bookshops and breweries, to well-known companies such as Nationwide, Aviva and SSE. These businesses recognise that clinging to the national minimum wage is not good for business. Customers expect better than that."